Cryptocurrency is one of the hottest topics right now, and for good reason. People are making money left and right with cryptocurrencies like Bitcoin, Litecoin, and others. If you’re wondering how to invest in cryptocurrency, you’re in luck. We have your guide right here. 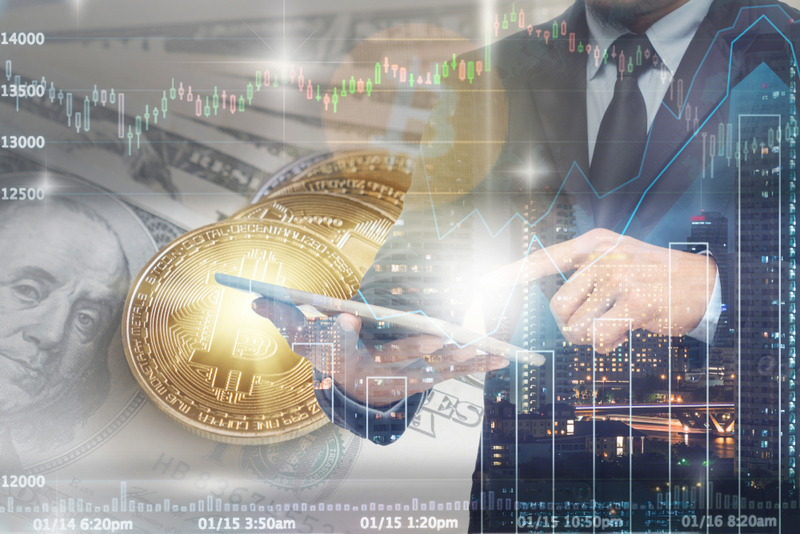 From which currencies to invest in, to how much to put in, we have the questions you need to ask yourself before you start crypto investing. What Cryptocurrencies Should I Invest In? Up until recently, Bitcoin was the only major cryptocurrency, and so this decision was an easy one. Now, there are quite a few major players, as well as plenty of smaller cryptos that could get huge at a moments notice. Your best bet for investing in cryptocurrencies is to follow the same strategy that many use for investing in stocks, which is putting together a diverse portfolio. Bitcoin is still the largest and most stable cryptocurrency and should be a stabilizing part of any portfolio, but by researching other cryptos, you can find out which ones fit your goals best. The general rule of thumb for any investment is to only invest what you’re willing to lose. Ideally, cryptocurrency will continue to skyrocket and you won’t lose anything. However, if the market crumbled, would you still be able to pay your bills? Another thing that is recommended by many of the top crypto bloggers, is to consider is how much of your overall portfolio you want to invest in cryptocurrency. There is a lot of earning potential, but also a lot of risk, so it’s a good idea to keep the majority of your portfolio in traditional stocks. Now that you know the important questions to ask yourself, you’re probably wondering how you actually go about investing in cryptocurrency. Investing in cryptocurrency generally requires a cryptocurrency exchange. It works very similarly to the stock market. You put your money into the exchange and then use that money to buy and sell cryptocurrency. There are plenty of resources available to you for crypto investing, and just like any other sort of investment, it’s important to research before you put your hard earned money into anything risky. Once you’re the proud owner of cryptocurrency, it’s important to know how to store it. Cryptocurrency is all electronic and therefore easy for hackers to steal if you’re not careful. Our recommendation is to keep it off the exchange. There are crypto wallets available for many devices, and once it’s on there, it belongs to you and you alone. This minimizes the risk of electronic theft, but also means that if you lose it, it’s gone. We recommend making copies and keeping them somewhere safe. You can store cryptocurrency on your phone, but you should also keep a USB somewhere safe in case your phone is lost, stolen, or broken. These are the basics of crypto investing, but there’s still plenty more to learn. From managing your finances to tips on everything from human resources to marketing, we have the resources you need to make your business flourish.